The Epicurean Club is hosting a stocks and soups sale on Nov. 16 from 11:30 a.m.-1:30 p.m. in Bistro Verde and Nov. 17 from 11:30 a.m.-1:30 p.m. in A. Lincoln Commons. For more information, contact Nancy Sweet, club advisor. Though paper recycling rates in the U.S. have increased in recent years, paper still represents one of the biggest components of solid waste in landfills – 26 million tons (or 16% of landfill solid waste) in 2014. When paper decomposes in a landfill, it releases methane, a greenhouse gas 23 times more potent than carbon dioxide. Charlotte Warren, Ph.D., president, wrote this essay, “LLCC welcomes Cuban scholar to campus Nov. 16” for the State Journal-Register “Our Towns” page Nov. 11. Professional Development Day is tomorrow! Make sure to check out the day’s schedule of activities and other information at: http://www.llcc.edu/prodevday. • share pics to the ProDevDay photo gallery! Make your gift today and you could win a gift basket! See the United Way gift baskets on display tomorrow at Professional Development Day. All donors to the campaign will have their names put in a drawing for a basket donated by their employee group representative (below). There’s also a second chance basket! All baskets contain three items (remember the campaign theme is “Gimme Three Steps”) and are worth at least $50. What does this community need? Watch the 2015 United Way video and see how your gift helps those in need in our community. Dr. Mario Masvidal Saavedra, a distinguished professor at the University of the Arts in Havana, Cuba as well as a popular Cuban radio and TV host, will speak on the Lincoln Land Community College campus Monday, Nov. 16. At 6 p.m., Dr. Masvidal will speak on “USA vs. Cuba? A Love Story,” taking an in-depth look at Cuban/American relations before and after U.S. involvement, and through the Castro regime, along with his outlook for future relations. The public is invited to attend his evening presentation in the Trutter Center, focusing on Cuban/American relations since the 1940s. Dr. Masvidal has also taught courses and workshops on the history of the English speaking countries, English as a second language, linguistics, English and Spanish stylistics and professional communication at the Enrique J. Varona Teachers Training College and the Paul Lafargue Foreign Language Teachers Training College, both in Havana. He currently hosts the talk show “Catalejo” at Habana Radio Station and participates in four TV programs: “Cuerda Viva,” in which he interviews musicians; “X-Distante,” an animated show for adults in which he presents and comments on the cartoons; ”Ritmoclip,” a music video program where he presents and comments on artistic music videos; and “Banda Sonora,” where he is a script writer. Dr. Masvidal is a full member of both the Ph.D. National Board of Examiners in the fields of linguistics, arts and social communication, and the Scientific Council at The University of the Arts in Havana. He holds a Ph.D. in linguistic studies from the University of Havana, where his thesis explored Hemingway’s literary prose. He has served as adviser to the rector, vice-rector, dean, vice-dean and department chair at several universities and colleges, and written and co-authored academic books, as well as essays and scripts. He is a founding member of both the Cuban Linguists Association and the Teachers Association of Cuba. Dr. Masvidal’s visit is at the invitation of LLCC president Dr. Charlotte Warren and other Illinois community college presidents who met with him and several other Cuban academics last February. LLCC is his first U.S. speaking engagement before traveling to several other community colleges in the state. Bistro to Go is open Mondays and Wednesdays, 11:30 a.m.-1:30 p.m. See this week’s menu of take-out items: Bistro to Go 11 2 15. A reminder that orders can be placed in advance by emailing bistroverde@llcc.edu. Charlotte Warren, Ph.D., president, was interviewed by Community College Daily Oct. 29 on the impact of the state budget impasse. Happy Birthday to faculty and staff celebrating November birthdays! 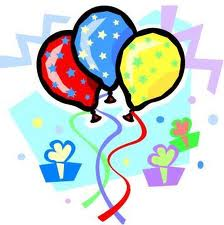 Click HERE or the “Birthdays” tab to see who is celebrating. The Human Resources office is currently advertising for a part-time Program Assistant-Student Support Services, part-time Student Support Specialist and full-time Student Development Professional. Complete information on these positions can be found on the HR Employment site.